I’ll be returning to the STAPLE! Independent Media Expo for the first time in 4 years! It’s happening this weekend, September 9-10, in good ol’ Austin, Texas. MEANWHILE. I have set up a Feeping Creatures Threadless shop for all your POD monster needs. Shirts, bags, phone cases, shower curtains! All kinds of fun stuff. Click on an image to see all the different designs associated with it. I need a new phone case anyway, and am thinking I might go with the Toxoplasmoids version. I mean, why NOT cover your phone in adorable bacteria. Finally, I got a shout-out in this Buzzfeed listicle of 28 Trans, Queer, and Nonbinary comic creators. Check it out, because there’s a TON of amazing artists in there. Okay, gotta go get ready to head to the airport. Upon my return, it’s back to penciling chapter 8 of Valley of the Silk Sky! Perhaps you’re wondering what the heck is up with Valley of the Silk Sky. Well, I’ll tell you. I am currently in the process of revising the thumbnails for Chapter 8, and inching ever closer to being ready to start pencils. This particular chapter was a bit more rough in the draft than some of the others, so it’s required more revision than some of the others. I think it’s just about THERE, though. I know one scene that needs some work, but otherwise I’m feeling pretty good about it. 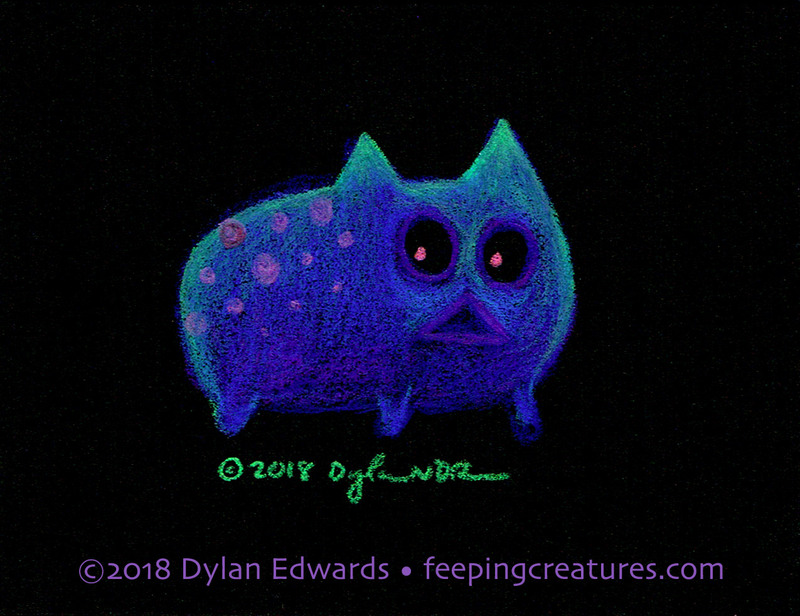 In the meanwhiles, I’ve been posting some sketches and concept art and whatnot to my Patreon blog, so if you want to peep those things you should drop a dollar (or more!) in the can. 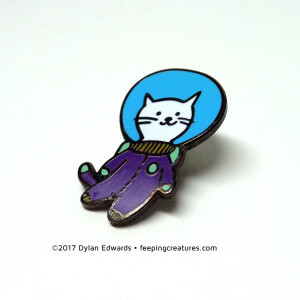 Also, if you follow my Feeping Creatures artwork, you may be interested to know I have a sale going on for items in my Etsy shop. My car just racked up a substantial repair bill, so the sale is helping defray some of those costs. Hence the discount code YAYCAR. Anyhow, that code snags you 20% off your purchase, so why not buy some monster art today, eh? Why not? I’ve got a couple of shows coming up (Denver Pride the weekend of June 17-18, and a group show at the Spectra Art Gallery starting June 23), but I’ll post more info about those next week. pee ess – your periodic reminder that all characters use nonbinary xe/xer pronouns. In other VoSS news, the digital book for Part One nears completion. 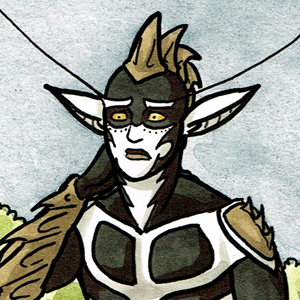 All the art is formatted and the covers are done, just gotta do things like indicia page and probably some kind of introduction, stuff like that. I’m hoping to have it available by the end of the month. Oh, hey, and the Beyond Anthology (which, as I’m sure you know, has a 16-page Valley of the Silk Sky short story in it) got a great write-up in the Onion’s AV Club. Read all about it! Also, I should mention that I’m doing a small, local show on Saturday night: Beastival 3 at Mile High Comics, if you’re in the Denver area. If you can’t make it to the Beastival, be aware that items from the Etsy shop may disappear on Saturday night as they sell at the show. So if there’s a feep you’ve had your heart set on, best to snag it now! Valley of the Silk Sky page 48, VoSS turns 1, and a Monster sale! Valley of the Silk Sky page 48, VoSS turns 1, and a Monster sale! 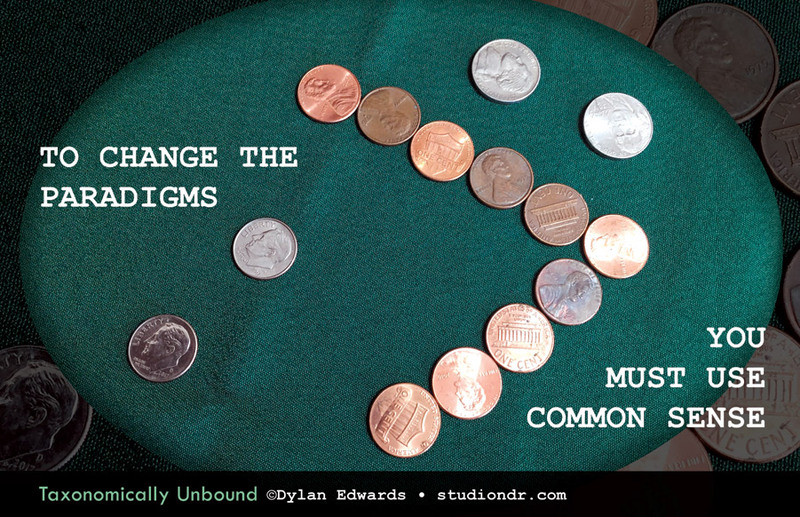 published on January 13, 2016 Read more posts by the author of Valley of the Silk Sky page 48, VoSS turns 1, and a Monster sale!, Dylan EdwardsNo Comments on Valley of the Silk Sky page 48, VoSS turns 1, and a Monster sale! True facts, tomorrow (Jan 14) is the first birthday of my li’l sci-fi webcomic! I made a special art for the occasion, which I’ll be posting first to my Patreon (in a public post). That’ll go up tomorrow, and then I’ll post it here and on the various VoSS feeds once chapter 4 is complete (which shall be VERY SOON INDEED). 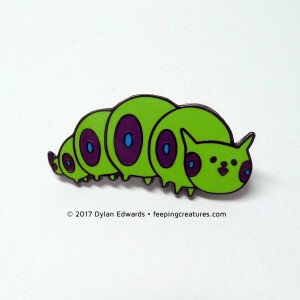 As you may know, I make all this monster-themed art called Feeping Creatures, and I have an Etsy store wherein I sell said art. 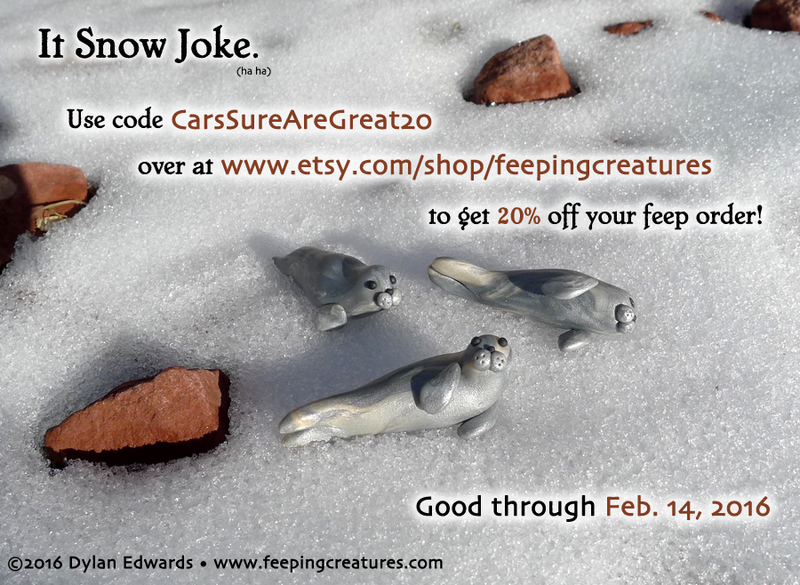 And right now I have a 20%-off sale going on if you use the code CarsSureAreGreat20 at checkout. Y’see, my car decided what it REALLY wanted to do was to rack up a bunch of extremely expensive repairs with no warning. So the Feep sale is to help defray the costs. The sale is on through Feb 14. Maybe you have a loved one who needs some monsters. Maybe YOU are that loved one. 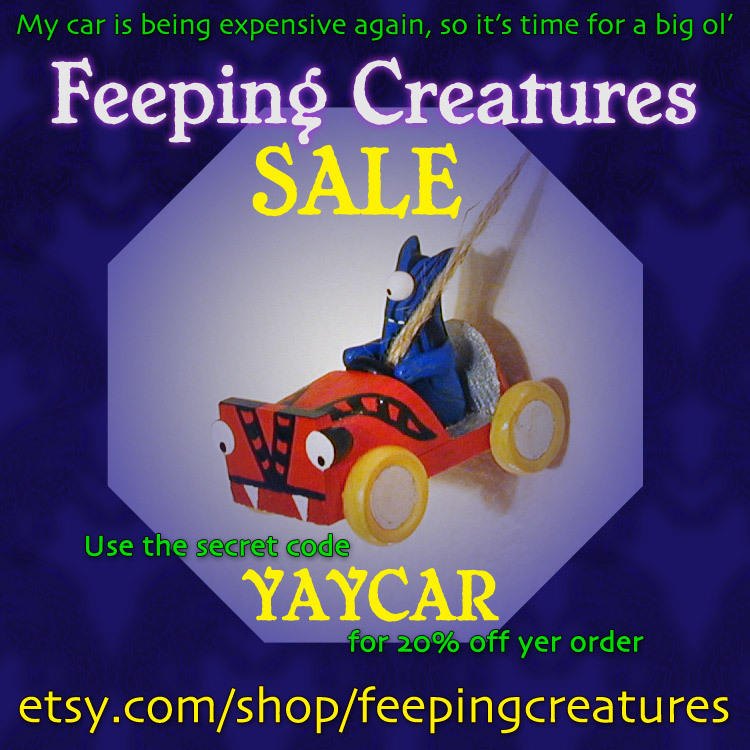 Anyhow, get on over to the Feeping Creatures Etsy store and stock up on some monstery goodness. I’ll be heading up to Dallas this weekend for the Sci-Fi Expo. I’ll mostly be bringing my Feeping Creatures stuff, but I’ll also have some preview art and prints for the new comic I’m working on, a short story for QU33R (the new anthology from Robert Kirby) about kids who gender-swap their toys (you know, just in case you missed any of the several previous posts). If you’re going to be in Dallas this weekend, swing by and check it out!